Tom Jendras is a Baltimore hockey lifer. The 60-year-old has seen it all when it comes to the game in our region. "There's a history of hockey in the Baltimore area and it's rich. It's deep. It goes way back," he said. Growing up in Dundalk, Jendras was always around the rink. He was always going to see Baltimore's professional minor league teams. "I grew up on the Clippers, the Skipjacks and later the Bandits playing right in the Baltimore Arena downtown when you could get a ticket for three bucks. Oh, it was amazing. The arena would be just jumping with fans and noise." He's been the pro shop manager at Ice World in Abingdon for the last dozen years. 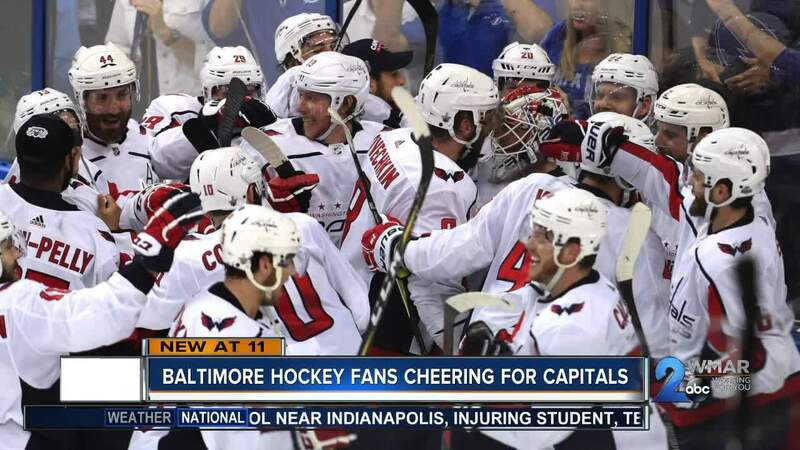 He’s been a Washington Capitals fan since the club's inaugural season of 1974-75. "I remember those days when they were not a very good team and suffered through some really ugly seasons." Jendras said he knows plenty of hockey fans in and around Baltimore who are die-hard Capitals fans. Even though they play down the road in that other city. Even though there may be rivalries with other Washington teams in other sports. "It has really nothing to do with the D.C. area or what goes on with the Skins or the Nationals," said Jendras. "It's a hockey game and the Caps are going to be representing this area, and all the fans that love the game, to go to the Stanley Cup Final and to be able to see those guys hoist the Cup." What will happen when the Capitals meet the Golden Knights for Lord Stanley's Cup? The hockey maven of Harford County thinks it's finally the Caps' year. "My prediction is I think they're going to win it," said Jendras. "I think it's going to do tremendous things for the sport in this area because fans are going to double in interest and double in size. Where that really reaps its rewards is with youth hockey." Breeding the next generation of hockey lifers in Maryland.